Inbox Design builds websites specifically designed for the New Zealand School Market and their communities. We utilize our custom built web management system to allow full control over content + integration with KAMAR, New Zealand's Leading School Management system to automatically push content onto the website. Every Inbox Design site is mobile-friendly and looks great on whatever devices your visitors use – desktop, laptop, tablet or smartphone. Inbox Design specialise in working with schools, building websites to improve communication with your students, local community and prospective international students and that integration with KAMAR for Events, Notices and other information. Our School websites are all custom designed modern responsive websites built around our custom Content Management System built specifically for the NZ School market, giving you full control over all of your content, galleries, videos, sports and booking registrations. Manage the complete process of EOTC requests, approval and risk assessments requirements for all categories of requests, following defined criteria and providing a full audit trail of requests, approval and declines with reasons given. Save your school time, money and resources and give your students a voice! Manage the complete process of requests, approval and risk assessments requirements. Knowledgebase takes the key features of Moodle and Ultranet, plus our integration with KAMAR to allow you to build your schools secure resource centre. MailChimp is a brilliant tool for bulk emailing. We can set up integration with just about any external data source, such as KAMAR. You can then monitor responses to any emails distributed. Online student registration, caregiver permissions and payment for extra curricular sports and activities all synced with KAMAR. Your School should Contact Inbox Design and we will help you! We securely access information directly from your school's KAMAR database and integrate that data into your website. 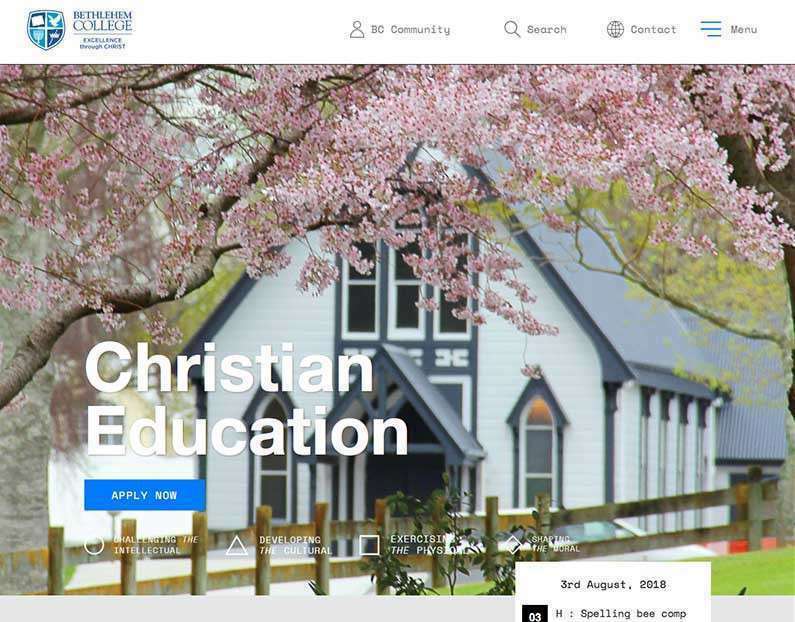 We design intuitive, beautiful bespoke websites to suit your School, Student and Community's needs by using our expericence from working with many other successful New Zealand Schools, From developing our range of Student and Staff Focused applications, and learning about your requirements.